Koala Beach Resort Cairns i Cairns, Australien : Boka nu! A full cancellation fee applies for No-Show. A 50% fee applies for 7 days out. 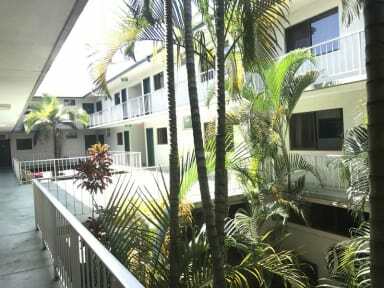 Koala Beach Resort Cairns is in the heart of Cairns’ city centre, only 500 meters from the Cairns Esplanade and the Lagoon. 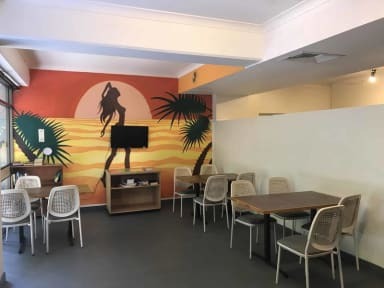 We offer shared dorms as well as private budget rooms, a communal kitchen area, outdoor sitting area and free internet access. You can choose from 8 to 4-share dorms as well as all-female rooms. All rooms (except the basic 4-share dorm) are fully air-conditioned and have a private bathroom. Reception staff can assist youin arranging tours to the Great Barrier Reef, Kuranda, the Daintree Rainforest and many more. The property also has a laundry with coin-operated washing machines and dryers. Good location, friendly staff and pretty clean as far as hostels go.